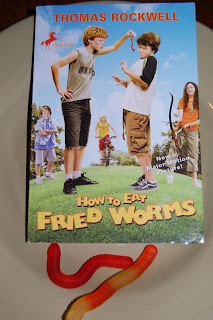 My son just finished reading How to Eat Fried Worms by Thomas Rockwell so we celebrated with gummy worms. Being a School Counselor, I could not resist the chance to discuss the social and emotional themes. Making connections with this story was a great chance to discuss social pressures and other timeless themes with my two boys. Kids are always daring each other to try gross or unsafe things and there are bullies in every school and community. Would you have eaten the worms if dared to? How much would you eat a worm for? How would you prepare the worms? What would you do if another kid dared you to eat something gross? What would you do if another kid dared to you do something unsafe or that could get you in trouble? What if they offered you money to do it? Have you ever felt pressured to do something by another kid? Have your ever witnessed another kid being pressured to do something by others? Connecting stories to everyday life situations is a great way to reflect on the messages from the book. 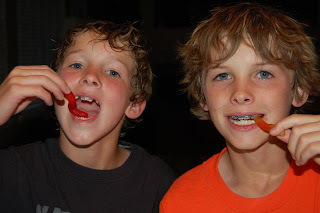 Eating gummy worms just added a fun experience to reading which is always a great way to make reading a positive experience for kids.